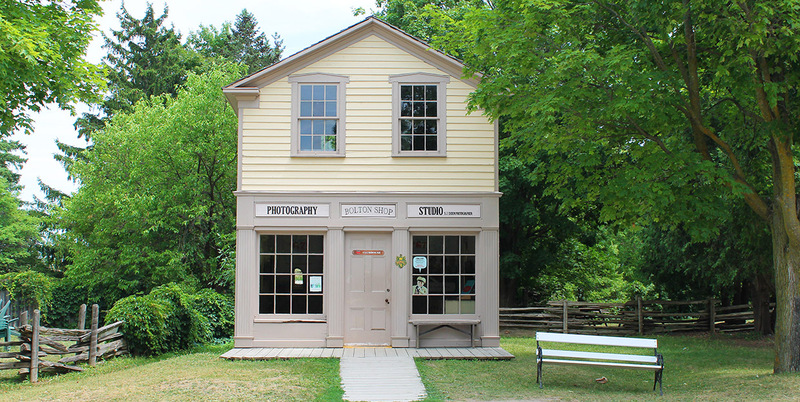 A two-storey frame structure with clapboard siding, this structure was originally a commercial building in Bolton, occupied by a merchant tailor. In 1967, it was moved to the corner of Yonge and Wellington Streets in Toronto as part of the city’s Centennial celebration, and was restored to house an original 1837 fire pumper and a firefighting exhibit. Following the celebrations, both the building and the pumper where donated to Black Creek Pioneer Village. At the Village the building was once again returned to its original purpose as a small town commercial structure, while the pumper was given a small shed of its own. The Bolton Shop was restored and opened in 1973. Please note that this is an anonymous feedback form. If you would like to be contacted, please use our contact form (click here).